service monitoring and app metric monitoring. 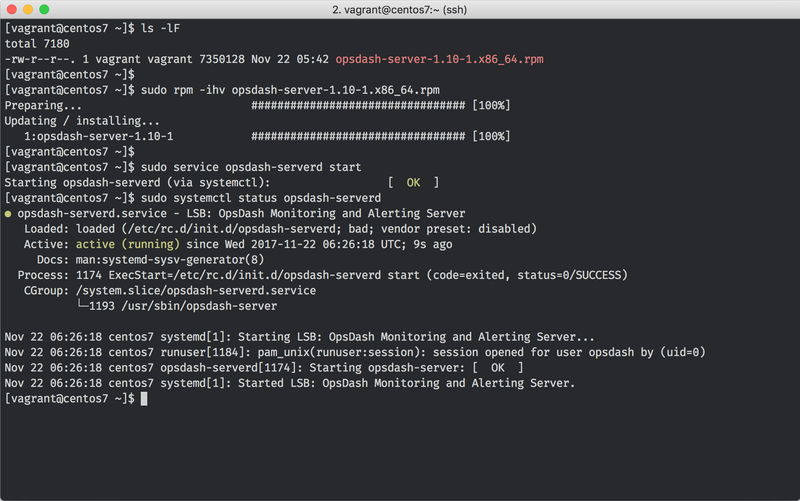 OpsDash is fast to setup and easy to use. Get started in minutes with our zero-dependancy Smart Agent and dashboards pre-configured to include key metrics for server, service and database monitoring. Zero-dependency, single-binary agent-based monitoring of Linux and Windows servers on Intel and ARM. Powered by Golang. 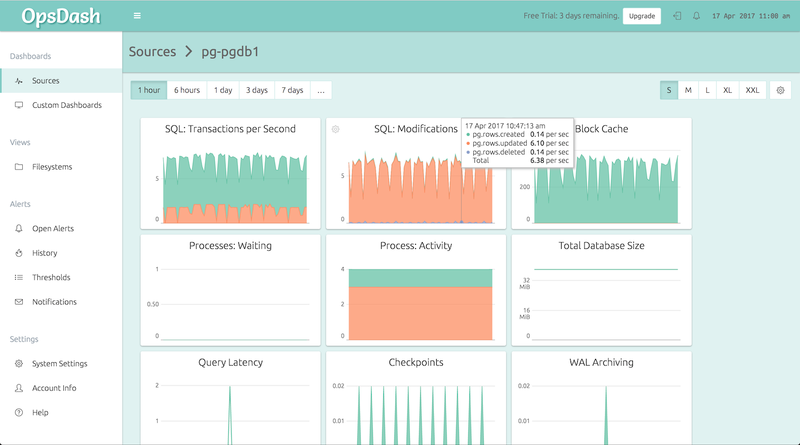 Monitor MySQL, PostgreSQL, MongoDB, Elasticsearch and more — get started fast with pre-configured dashboards. Easily monitor Docker, Apache, Nginx, Redis and more — get started fast with pre-configured dashboards. 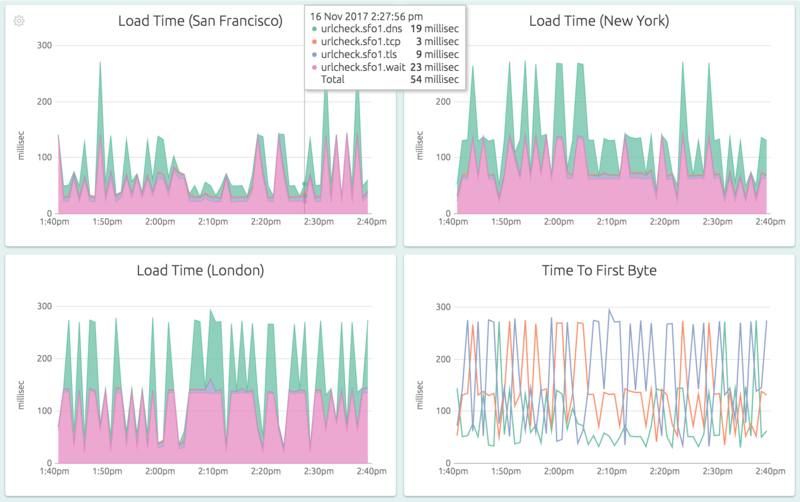 Monitor your app metrics without setting up a separate system! Use StatsD and Graphite interfaces to push metrics into OpsDash. Set critical and warning alert thresholds. Notify your team via e-mail, HipChat, Slack, PagerDuty, OpsGenie, VictorOps and Webhooks. Monitor your website uptime from 3 locations around the globe each minute. Detailed uptime stats, TTFB & certificate expiry monitoring. ... and more! Check out the full list here. Monitoring you will actually love! 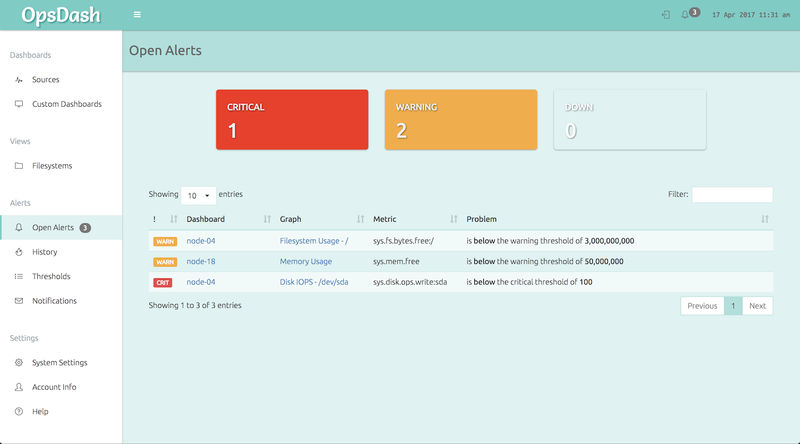 Monitor your servers, services, databases and application metrics with OpsDash. No need to setup multiple systems. See the dashboards and metrics graphs that are important to you all in once place. 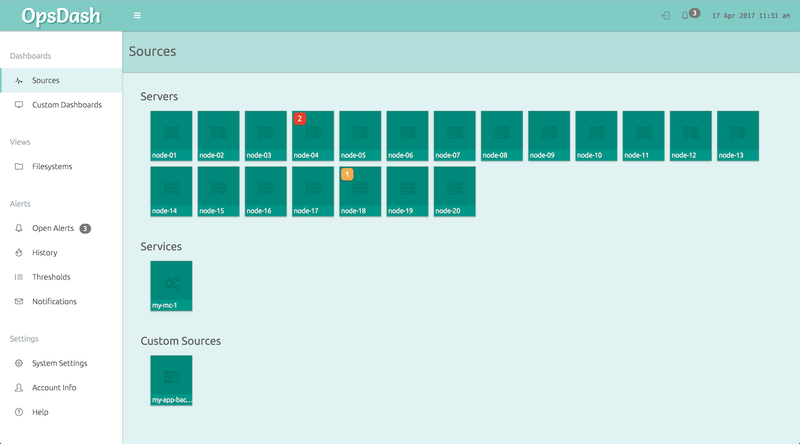 Easily share dashboards with your team. Get going fast with our expertly designed, pre-configured dashboards. No need to sift through never-ending metrics lists, we’ve done the work for you. You can always customize once you get going. Set notification controls so you are pinged only as needed. Send notifications to your team’s preferred channels, Slack, HipChat, PagerDuty, OpsGenie, VictorOps and Webhooks! Learn more. Add HTTP and HTTPS urls you want to monitor and get detailed uptime stats taken at 1 minute intervals from 3 locations around the globe. Comes with TLS certificate expiry tracking. Learn more. OpsDash is also available in an on-premise, self-hosted version, designed to work totally self-contained within your network. Zero-dependency packages for Intel and ARM v6/7/8. Learn more. Looking for self-hosted? Sign up here.